Don't let the crappy iPhone photos fool you; this is an incredible place. I'll write about it here today mostly because I use this space as a reference for future trips and because I think there might still be a person or two who come here looking for travel info. Maybe. And, because, we love this place...yet understand completely that it might not do it for you. 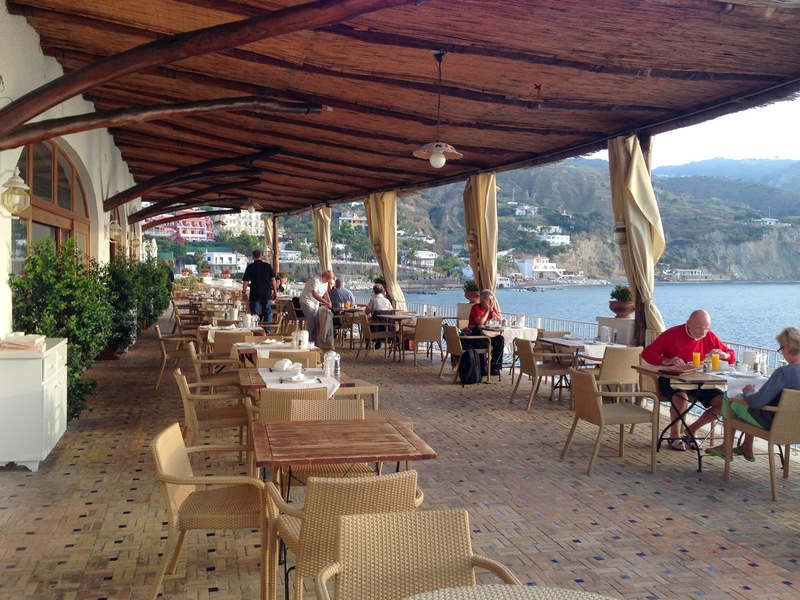 Visit Ischia during the off season, or at least the shoulder season. We had absolutely perfect conditions for a romantic weekend away (sans kiddo) and were able to stay in a close-to-perfect hotel for a fraction of the cost. It's also kind of nice to be on the island at a time when the rest of Naples is not. Ha! 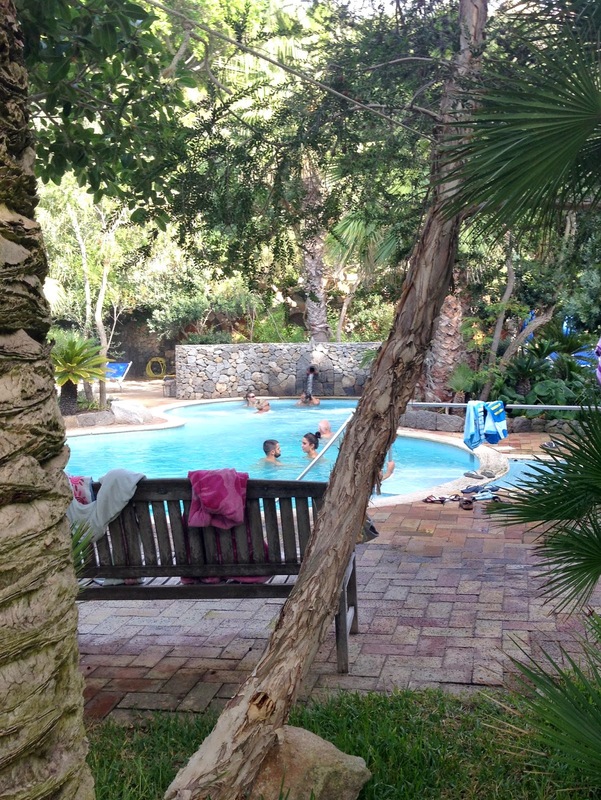 Ischia | Park Hotel Miramare in Sant'Angelo (4 star) Boy, is this place nice. Wow. 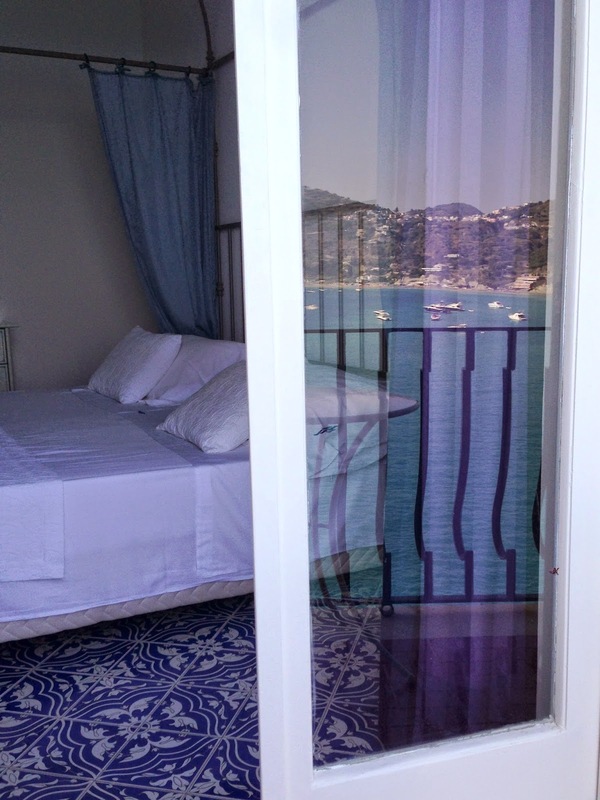 It's not the Roosevelt in New Orleans, but it masters the Mediterranean charm; our room had a balcony with an unmatched view that allowed us to watch the sunrise from bed. Romance, friends. Pure romance. It also offers friendly and helpful people along with a lovely breakfast and incredible terrace for lounging and wine consumption. All this adventure is exhausting! Aphrodite Apollon in Sant'Angelo Saturday because it is included in the hotel stay. This place was completely out of the way, but we had a friend with a car on the island who selected it, so we were able to make the trek. While the cuisine was not exactly typical Mediterranean fare, it was outstanding and the people were, again, fabulous. At the end of the meal, the boisterous Chef Giovanni joined our table to chat politics and philosophy. His self-sustaining life on top of a mountain (hill?) on an island in the middle of the Mediterranean sparks a little envy in me, I must confess. I might return to the restaurant...the drive was horrific; a walk would be impossible. At one point there was this horse...we passed on it. We lived our Amazing Race fantasies, to say the least. Our easyJet flight became not-so-easy when it was cancelled after several delays Friday night. We weighed the options of waiting for a morning flight, driving a POV or rented car, or taking a train. We ended up in a sleeper car on a regional train with Trenitalia, which was not nearly as bad as I had imagined it would be. ADVENTURE...that's what we called it. Making memories. Buses on Ischia pretty much circumnavigate the island and are marked with "D" or "S" for destra or sinistra (right or left). Take the wrong direction and a quick 15 minute ride turns into a 90 minute death chariot to hell. Ask me how I know. Here you can read about that other time we went to Ishcia in 2012. Here you can see snapshots from our visit there in Summer 2014. It was a bit more adventure than we bargained for on our kid-free, spa weekend in Southern Italy, but it was all good, nonetheless. We traveled with an easy couple we've know for nearly 10 years now, and after sleeping together in a sleeper car on a slow (-ish) train that we boarded at midnight, I think we can do most anything together. Making memories. 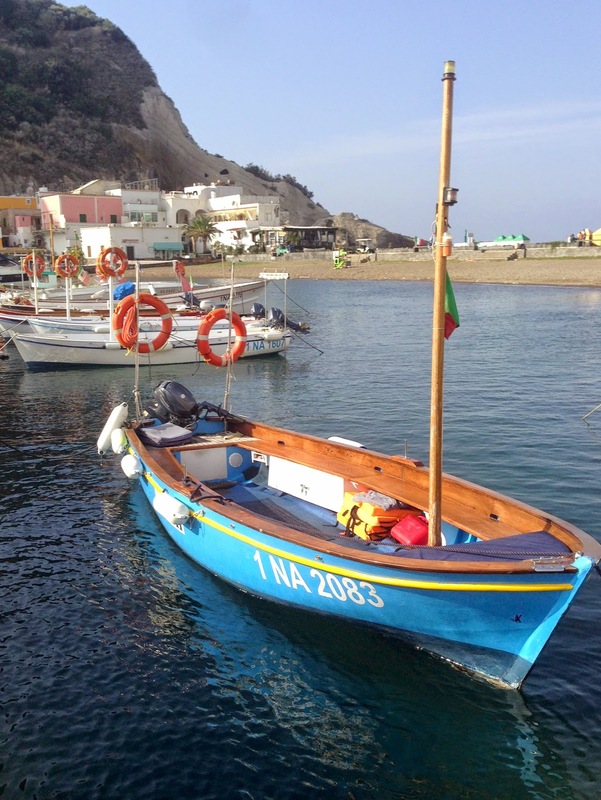 My next kid-free, Southern Italy trip: Sperlonga. These, of course, are all romantic places that Richard and I visited BEFORE Young One entered the scene. You understand the desire to return, right? 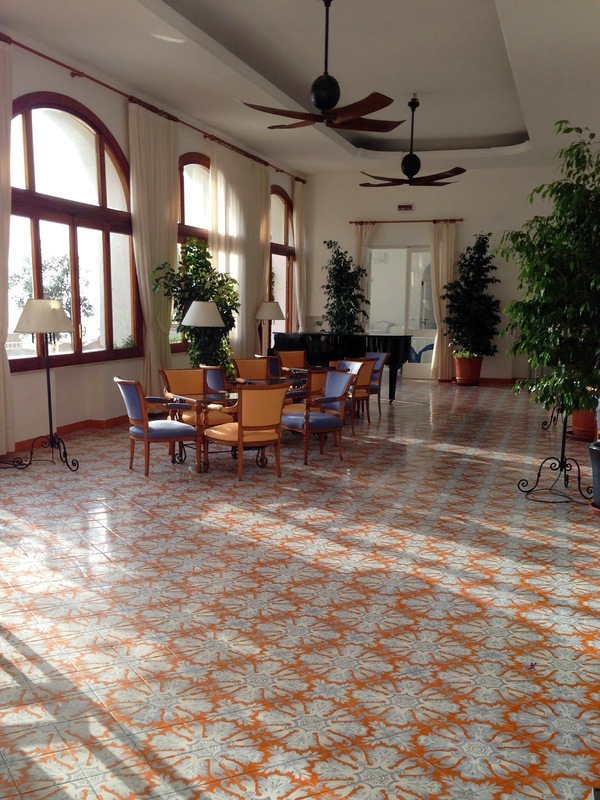 If only I could remember the name of the hotel in Sperlonga, for it was another that allowed us to watch the sunrise through the open French doors while lounging in our wrought iron bed as the sheer curtains danced upon on the colorful tile-covered floor in the warm sea breeze. Clothing optional. You have the place to yourself! I love it. Just a small section of the Parco Termale & Spa Negombo. Not exactly my kind of adventure, but we made the best of it! I am so dreaming of adding this location as a destination for vacation. It looks amazing! We LOVE it, but it isn't for everyone, to be sure!